Regardless of what you are going through right now–whether it be a divorce, loss of a loved one, battling cancer or overcoming an addiction…get ready to turn your setback into a comeback! Discover how one song transforms lives in a profound, meaningful and sometimes startling ways. It’s a journey of faith, hope and optimism and a testament of the power of music to inspire and heal. The first film-event of its kind! 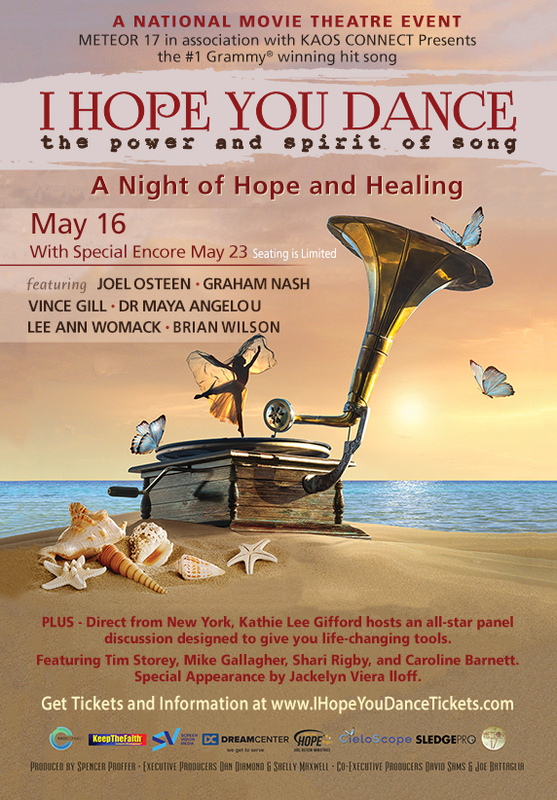 Hosted by Kathie Lee Gifford, direct from NY, with special appearance including: “The Voice,” Season 9 Winner, Jordan Smith; Joel Osteen; popular talk show host Mike Gallagher; inspirational speaker Tim Storey, along with an all-star cast and panel!